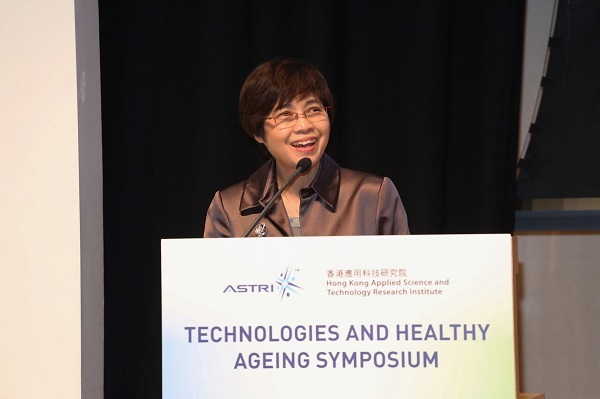 [30 September 2014, Hong Kong] Hong Kong Applied Science and Technology Research Institute (ASTRI) held the “Technologies And Healthy Ageing Symposium” today (30 September 2014) at Hong Kong Science Park, drawing about 400 participants from various sectors of the community to address the many issues connected with a rapidly ageing population and the needs for effective use of innovative technologies to support the elderly. 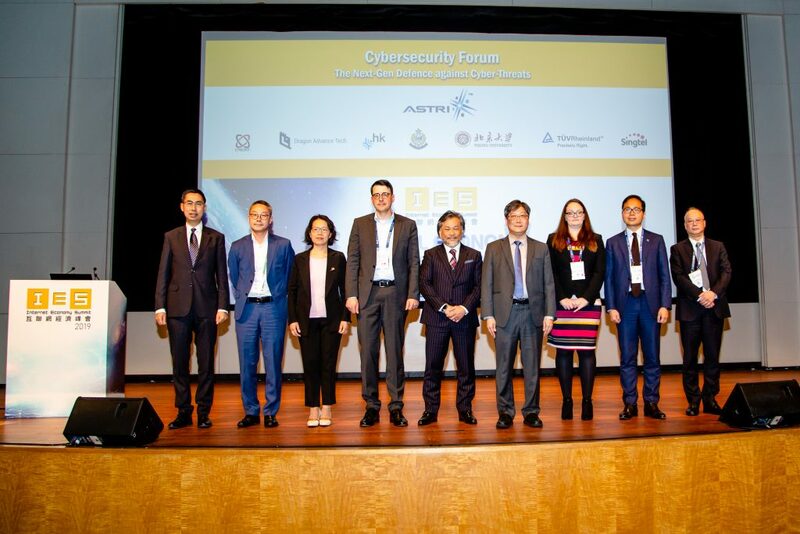 The full-day Symposium was opened by Mr Stephen Sui, Under Secretary for Labour and Welfare; Mr Wong Ming-yam, Chairman of the Board, ASTRI; Mr Leong Cheung, Executive Director, Charities and Community, The Hong Kong Jockey Club; and Prof. Fanny M.C. Cheung, Pro-Vice-Chancellor of The Chinese University of Hong Kong. 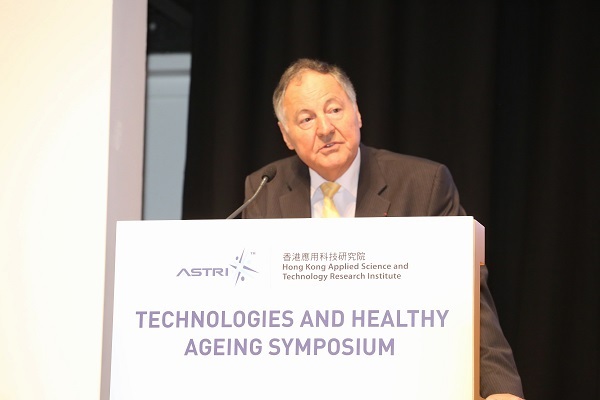 He added that with this vision in mind, ASTRI joins force with Cadenza: A Jockey Club Initiative for Seniors and The CUHK Jockey Club Institute of Ageing in organizing this Symposium, with the hope of bringing together and combining the efforts of those concerned organizations and individuals in transforming Hong Kong into an age-friendly society. 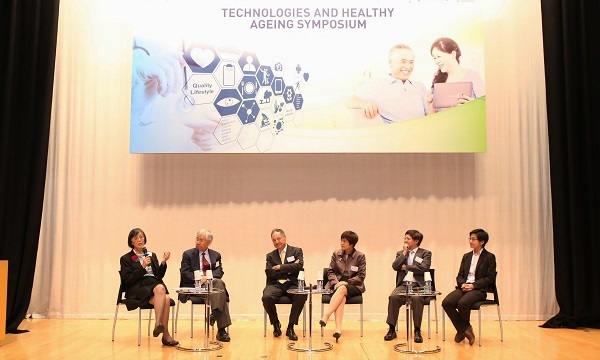 The Symposium featured nine presentations given by local and overseas experts, with President of International Society for Gerontechnology Professor Alain Franco and CEO of Singapore’s Integrated Health Information Systems Pte Ltd Dr Chong Yoke-sin delivering the keynote speeches on the topics “Ethics and Paradigms at the Intersection of Health, Care, and Economy” and “Connected Health for an Ageing Population” respectively. 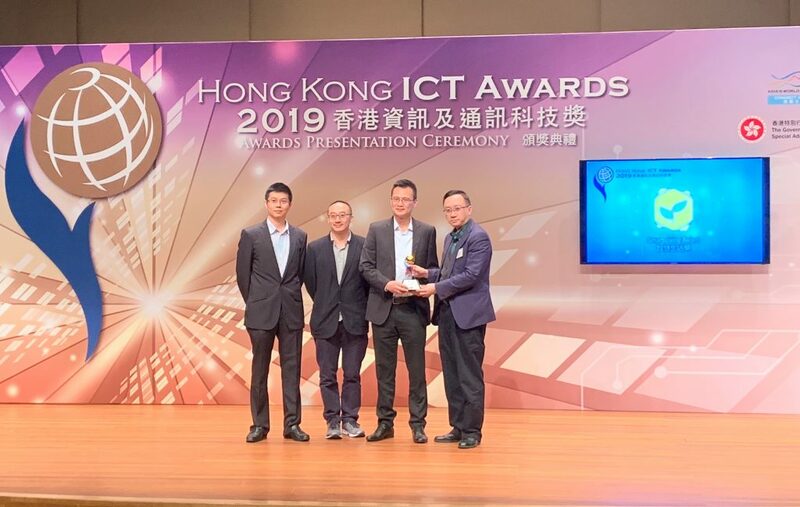 Other presentations covered topics related to the government’s elderly policy, the existing ecosystem and the latest technologies developed to facilitate healthy ageing. 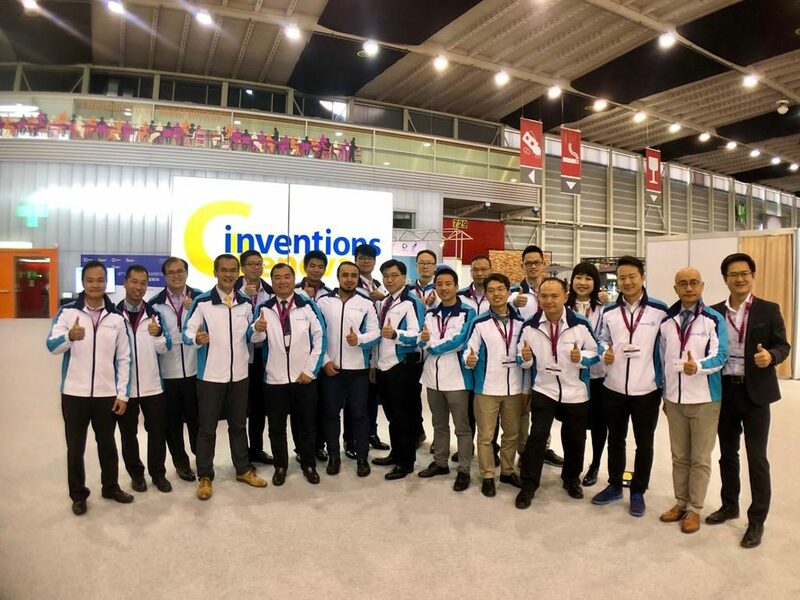 Comprising technologists, researchers, elderly care service providers, medical device manufacturers, university professors and students, amongst others, the participants were also absorbed by two panel discussions and a number of live demonstrations of ASTRI’s advanced and elderly-friendly healthcare technologies. 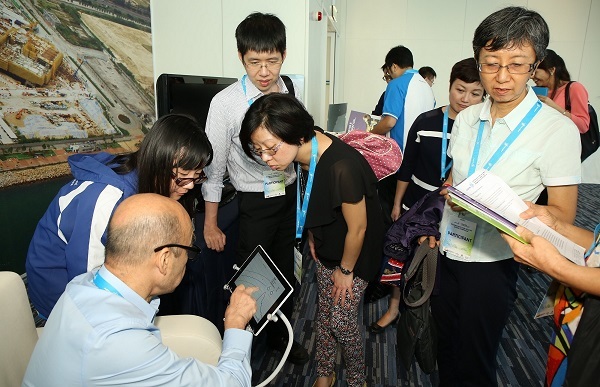 Among the demonstrations are Arterial Stiffness Index Measurement Device, Reflective Pulse Oximeter and Telehealth Tablet for Vital Sign Monitoring. 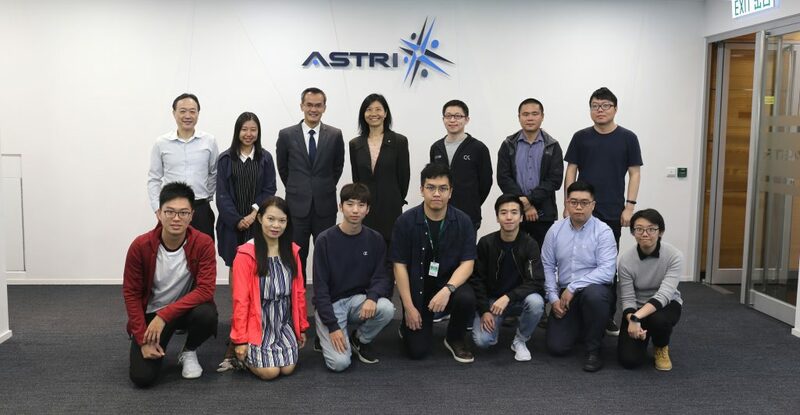 Being the largest Government-funded R&D centre in Hong Kong, ASTRI has devoted considerable efforts on developing healthcare technologies and some of these solutions have been successfully adopted by manufacturers in their products. 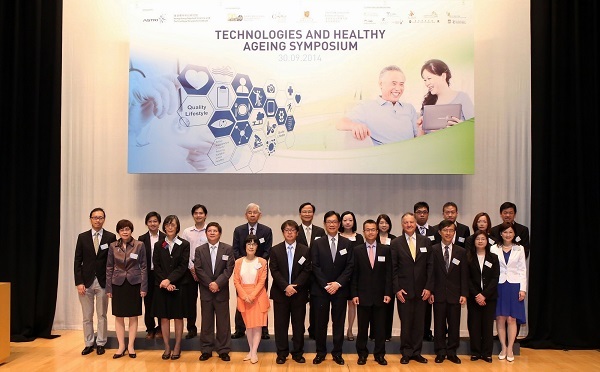 The Symposium was co-organized by Cadenza: A Jockey Club Initiative for Seniors and The CUHK Jockey Club Institute of Ageing, and was supported by Asia-Pacific Institute of Ageing Studies, Lingnan University; Communications Association of Hong Kong; eHealth Consortium; Elderly Commission; The Hong Kong Council of Social Service; Hong Kong Medical and Healthcare Device Industries Association; Innovation and Technology Commission; Institute of Active Ageing, The Hong Kong Polytechnic University; Jockey Club Centre for Positive Ageing; and Sau Po Centre on Ageing, The University of Hong Kong. Some of the presentations of the Symposium is available for downloading. Please click here for further information.